Cactus Sundown. 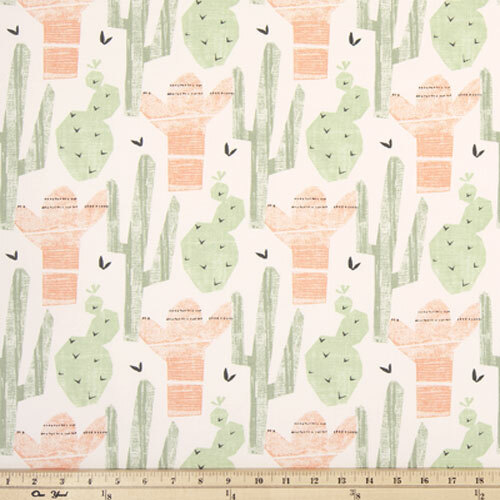 Festive western theme cactus print home decorating fabric. Colors include shades of gray, green and peach on a white background. Suitable for light upholstery, drapery, headboards, decorative pillow covers, crafting or other home decorating projects.